From respect (a Scrum value) to hierarchy there’s often a very short route. But what is the role of hierarchy in our organizations? Why is it there, what is the benefit we get from it, what is the goal it tries to achieve? Abbas invites us to think about the role of hierarchy in our organizations, and in our culture. 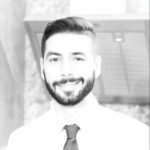 From a multi-cultural background, Abbas explores what hierarchy and respect mean for him, and how it affects the teams and organizations we work with. In this episode we refer to TEAL organizations, a term that is based on the book: Re-inventing organizations by Frederic Laloux. Abbas is a Scrum Master who enjoys coaching individuals and teams who are on a journey of developing an agile mindset, focusing on values and principles which will make them work lean, collaborate and generally enjoy work more! He calls himself an agile and product person focusing on delivering value early and often to customers. You can link with Abbas Ghahremani on LinkedIn or follow Abbas Ghahremanni on Instagram.